Three friendly butterflies flutter in circles. 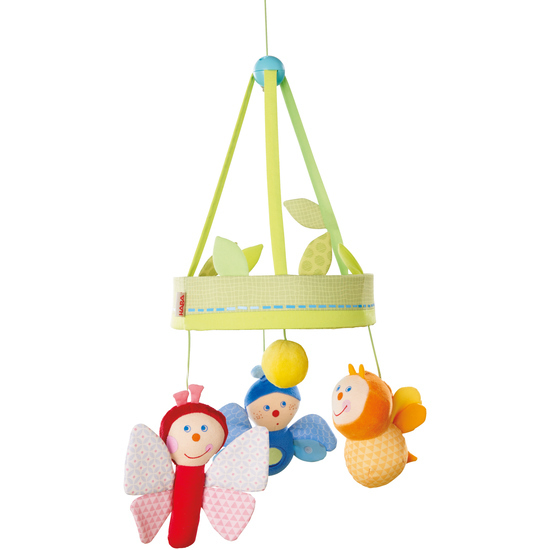 Thanks to the safe, internal magnetic connection each is removable and can be given to child as a clutching toy. Young ones will be enthralled with the bell, rustling wings and mirror foil.